What Is CRE and Why Do People Catch it? It shouldn’t happen — someone goes into the hospital to get better and instead comes out with a potentially deadly “superbug” infection. The latest big case involves the UCLA health system, which is warning 160 or more patients that they may have been given a procedure using equipment contaminated with bacteria called carbapenem-resistant Enterobacteriaceae or CRE. Seven patients were infected and two of them, already seriously ill, died. Here are some questions and answers about CRE. CRE refers to a family of drug-resistant bacteria. They’ve evolved so that most antibiotics cannot kill them, making them into what are known as superbugs. If they get into the bloodstream and cause an infection, CRE germs kill half their victims. Other superbugs you may have heard of include MRSA — methicillin-resistant Staphylococcus aureus — and Clostridium difficile or “C diff”. Very common. “Each year in the United States, at least 2 million people become infected with bacteria that are resistant to antibiotics and at least 23,000 people die each year as a direct result of these infections,” the Centers for Disease Control and Prevention says. On any given day, about 1 in 25 hospital patients has at least one healthcare-associated infection, CDC estimates. “There were an estimated 722,000 healthcare-associated infections in U.S acute care hospitals in 2011,” CDC says. 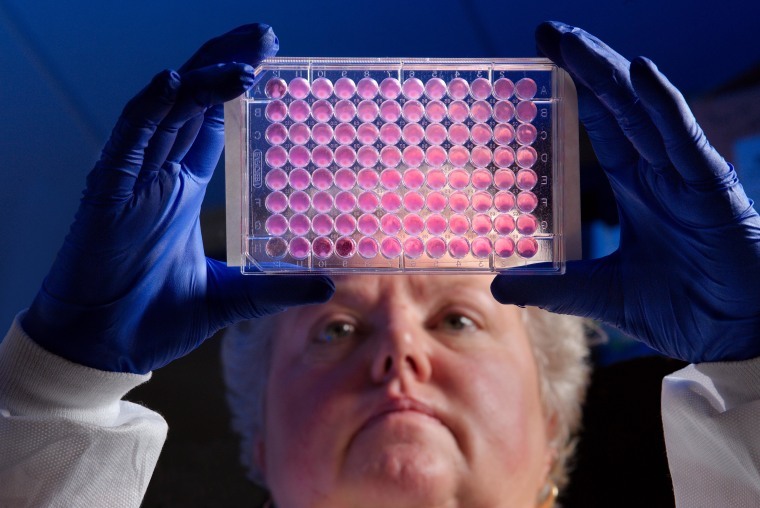 About 75,000 hospital patients died from these infections. How do people catch CRE or other superbugs? Usually, sadly, in hospitals. These bacteria can take hold in very ill patients whose immune systems cannot fight them off well. Then they get stuck onto equipment such as the endoscopes implicated in the UCLA outbreak. They can work themselves down into nooks and crannies and be very, very difficult to clean out. Why can’t hospitals do something about it? Many of them are trying, but it’s difficult and expensive to fight bacteria. They’re invisible, they can get into drains and onto cleaning equipment; they are carried on the hands and clothing of health workers. It requires tedious and time-consuming care to keep them from spreading, including constant sanitizing and hand-washing. The Health and Human Services Department is using a carrot-and-stick approach to try to get hospitals to do more, by cutting Medicare funding for institutions that fail to meet certain goals in cutting infection rates. Are there any drugs to treat these infections? Not many. Carbapenems are considered an antibiotic of last resort, so germs that resist their effects are very difficult to kill. The bacteria produce an enzyme called Klebsiella pneumoniae carbapenemase that makes a range of antibiotics ineffective, including beta-lactams, penicillins, and cephalosporins. It’s very common now in the U.S. and not just in CRE but in other germs as well.